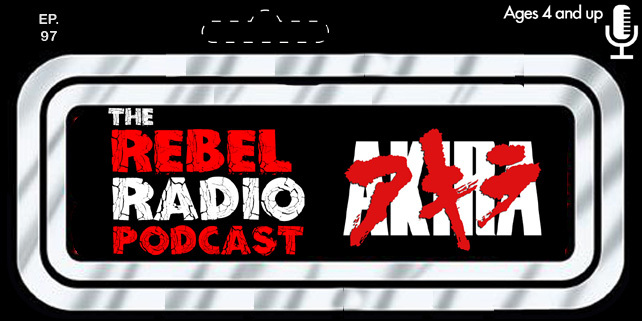 The Rebel Radio Podcast Episode 53: Live At Comicpalooza 2016 Now Playing! Rebel Radio is live from the show floor at Comicpalooza 2016 in Houston, Texas. Mark, Matt, & Frank are joined by The Evil Dr. Tran as we give our mid-year review of the movies and television shows we like best. Which movies did we like the most and what television shows had us tuned in week after week? Find out from the floor at Comicpalooza 2016! We then talk about the movies that are coming out the rest of the year and we tell you to either go see it, pass it, or rent it!! Then a surprise guest joins us as cosplayer Julia Denham joins the show to talk about cosplay, what she geeks out on, and other topics as we let her take over Rebel Radio for a fun time live from the convention! It's a live extravaganza full of surprises! Follow Julia Denham on Facebook! We deeply apologize for the "cicking" sound in the background due to the booth next to us, but it was for the Make-A-Wsh Foundation so at least it was a good cause!